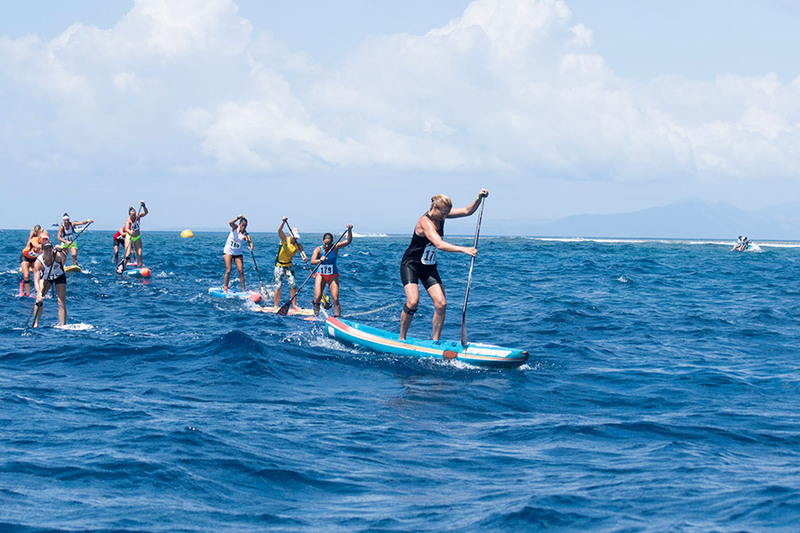 Four World Champions were crowned on the third day of competition at the 2016 Fiji ISA World SUP and Paddleboard Championship, as the Finals of the SUP and Paddleboard Technical Races ran in the pristine waters of Fiji’s world-renowned outer reef, Cloudbreak. 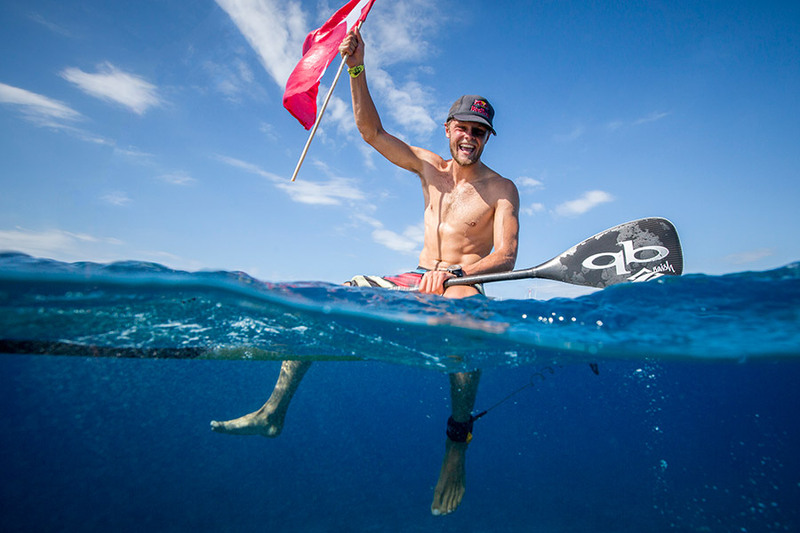 Casper Steinfath, from Team Denmark, earned a historic third Gold Medal in the history of the SUP Technical Race, making an incredible come-from-behind push on the last leg of the race to emerge victorious. Steinfath is also Vice President of the ISA and Chairman of the ISA Athletes Commission which is not only a reflection of his athletic performance but also of his exceptional leadership position in the sport. Australia earned two Gold Medals, with Harriet Brown and Matt Poole winning the Women’s and Men’s Paddleboard Technical Races, respectively, and New Zealand’s Penelope Armstrong won the Women’s SUP Technical Race. The Men’s SUP Technical Race finished off the day in epic fashion, with a thrilling sprint to the finish that crowned the day’s fourth and final World Champion. On the last leg of the race, Steinfath was able to use a wave breaking at Cloudbreak to propel himself ahead of the pack to advance from fifth to first position. Steinfath pushed ahead of Kai Lenny, spoiling his debut in the event, and sprinted through the finish, raising his paddle to celebrate his triumph. The rest of the medal positions were neck and neck, where Lenny (HAW), Arthur Arutkin (FRA) and Titouan Puyo (FRA) respectively earned Silver, Bronze and Copper. ISA President, Fernando Aguerre, said, “What an amazing day of historic racing at Cloudbreak! The first Gold Medalists of the event and the first SUP World Champions ever crowned in Fiji made this a truly special day”. “Casper Steinfath is an amazing athlete and put on a gutsy performance to come from behind on the final stretch and earn his third Gold Medal in the Technical Race. We are so fortunate to have an athlete of his caliber who also has the poise and maturity to make a valuable contribution to our sport as a leader in the ISA”. After a morning of qualification heats, the Women’s Paddleboard Technical Race kicked off the string of four consecutive Finals at Cloudbreak. Australia’s Harriet Brown built an early lead and never looked back, earning the Gold Medal for Team Australia. Brown, a last minute replacement for injured 15-time ISA Gold Medalist, Jordan Mercer, did not disappoint and put on a dominant performance. New Zealand’s Danielle McKenzie earned the Silver, France’s Flora Manciet the Bronze and Spain’s Itziar Abascal the Copper. In the following Men’s Paddleboard Final, Team Australia put on an impressive performance, with Matt Poole taking the Gold Medal and teammate Lachie Lansdown the Silver. Lansdown was able to come from behind on the last lap and overcome the eventual Bronze Medalist, Scott Cowdrey (NZL) and the defending Gold Medalist, Jack Bark (USA), who earned the Copper Medal. The Women’s SUP Technical Race was the penultimate Final of the day, where New Zealand’s Penelope Armstrong was able to take down the defending champion, USA’s Candice Appleby, who earned the Bronze Medal. France’s Olivia Piana earned the Silver Medal and Australia’s Kate Gilbert earned the Copper. While India’s Tanvi Jagadish was lapped in the Women’s SUP Technical Race, she put on a courageous performance and finished the race to the cheers of the crowd. Tanvi’s participation in this event signifies a positive direction for the growth and development of SUP in India.